The holidays are over and done with and went by so fast! My daughter's birthday was 12/9. I cant believe this was her 6th birthday! We celebrated the weekend before. I was going to rent a bounce house, but of course it rained the day we planned her party. I felt selfish for not wanting it to rain when we really needed it. SweetPea ended up getting a stomach virus on her actual birthday and had to miss a day of school. Anyways we decided to have her party at our house and we invited a ton of people, but our new house did very well. 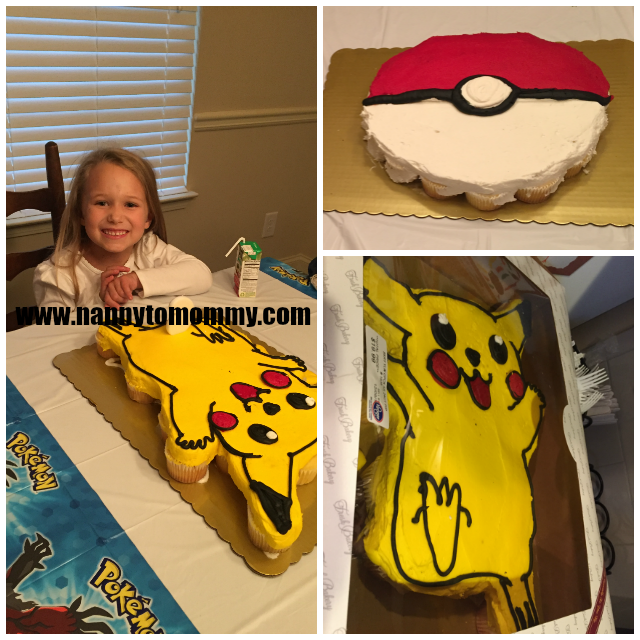 And everyone LOVED the Pokémon theme. We bought her pull apart cupcake cake at Kroger. I think the Pikachu turned out great. We played "Catch the Charizard" game seen above. Which was like pin the tail on the donkey. I loved all the decorations that we got from Oriental Trading. 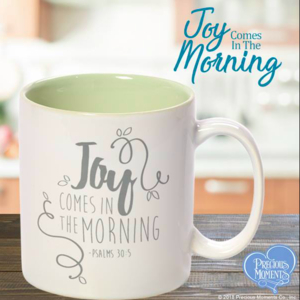 What I love about them is that you can get SO MUCH without spending a ton. 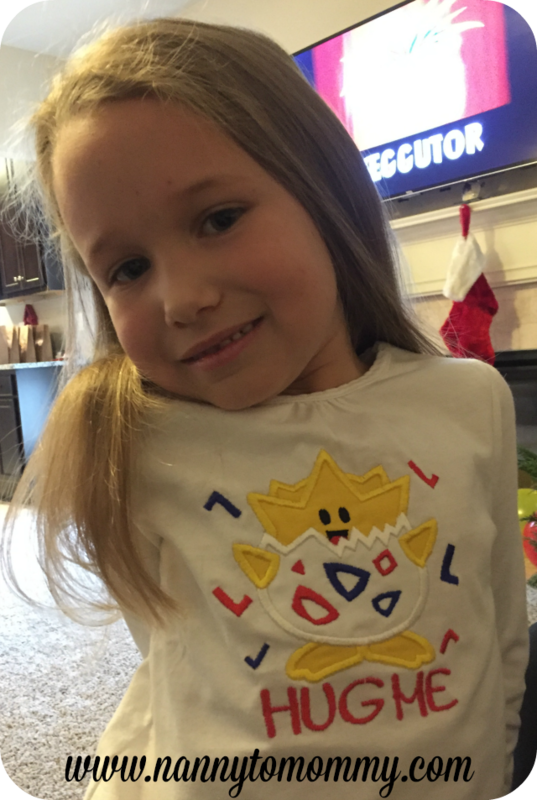 Her shirt was made by my mother-in-law since she loves Togepi. I also bought these cute little Pokémon figures to decorate the table and then give out as party favors. There was a little chaos. My niece took the figures off the table and played with them all through out the house, so when I told everyone go pick one out as your prize for playing the game, I sister-in-law had to try to find them. Then there are no pictures of presents. SweetPea opened everything too quickly, plus there were younger kids that were crying because they weren't allowed to open presents. I was worried how our house would handle everyone since no one could go outside due to weather. We cleaned out and organized the garage very well the week before, so we had the Falcons game playing out in there and the kids played in the playroom/my daughter's room. The kids seemed to have such a good time and I know my daughter can not stop talking about it. We spent more then we usually do, but also saw it as a housewarming party too since this was the first time so many of our friends had been to our house. It was worth it. I think a GREAT day was had by all! What did you think of our Pokémon Birthday Party? 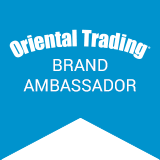 What do you think of Oriental Trading? Thank you to Oriental Trading for providing products to help make my daughter's day so special. 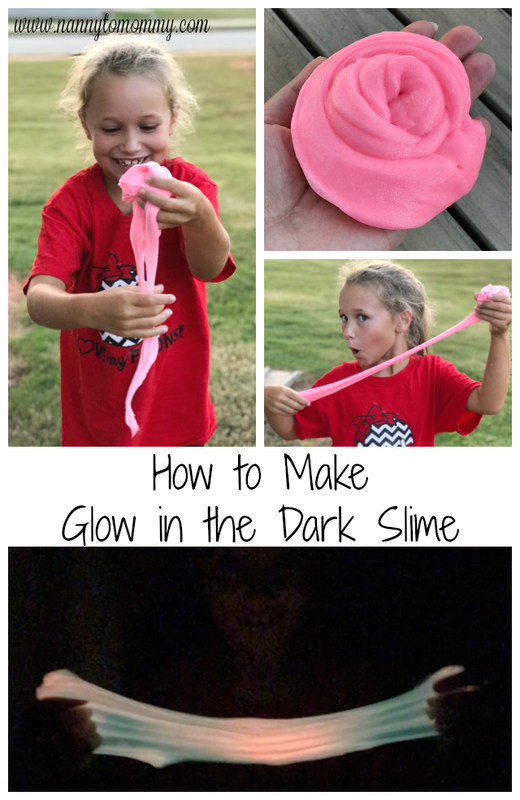 Such a great party idea!! Love that cake!! We LOVE Oriental Trading for all our party needs!! Amazing prices and so many awesome themes there!! THANK YOU!! 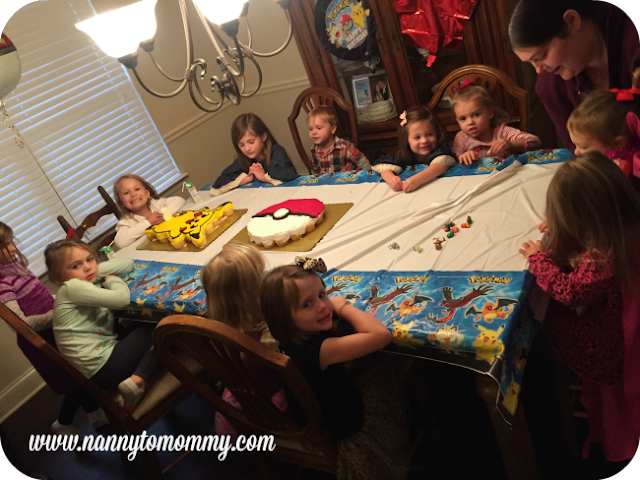 My younger grandkids love Pokémon!! We procrastinated around Christmas time to buy some of these toys for them, and we ended up on a big search! They would love a party like this!! I shared on Facebook so I can share with their moms. So much fun! 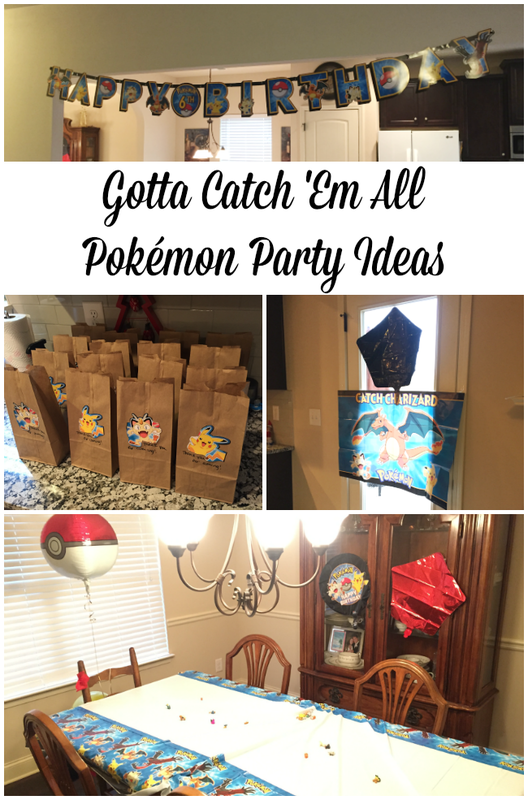 My daughter just turned 8 and had a Pokemon party. I don't know how she knows so much about them but she recites facts about Pokemon to me all day long. Good to know she is not the only child out there obsessed with them.